Pahrump, NV (May 2, 2013) – Armscor International today formally announces that Mike Seeklander has signed to compete as a member of Team Armscor, one of the winningest competitive shooting teams in the world. 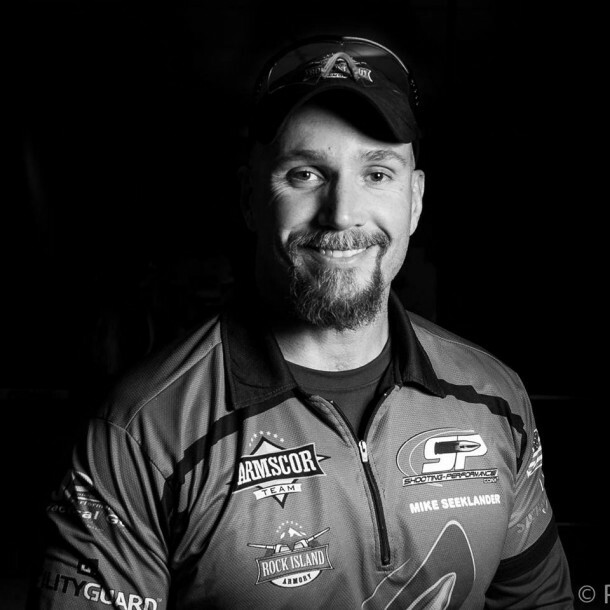 Mike Seeklander ranks at the top in practical shooting competitions around the world and is a top ranked shooter in every major practical type championship including the U.S. Nationals, the World Speed Shooting Championship and the NRA Action Pistol Championships. The United States Practical Shooting Association has honored him with the ranking of Grandmaster. Seeklander is much more than just a competitive shooter. Seeklander is one of the most recognized self-defense and competitive shooting trainers in the country with his company Shooting Performance. • Past President, Chief Operating Officer and Director of training at the United States Shooting Academy. • Senior Instructor at the Federal Law Enforcement Training Center. • Branch Chief and Lead Instructor for the Federal Air Marshal firearms division. • Decorated Marine veteran of Desert Shield and Desert Storm. • Black Belt in Okinawan freestyle karate. Mike has authored numerous books and produced videos and co-hosted the TV shows Rapid Fire and The Best Defense. To learn more about Mike Seeklander and Shooting Performance, visit www.shooting-performance.com.